Baking brings out the sweetness in yams and is the traditional method of cooking them. Bright orange in color, this root vegetable is packed with antioxidants, vitamin A and fiber. Whether you bake whole yams in their skins or bake peeled, chopped yams in a dish, they’re sure to be enjoyed by everyone. 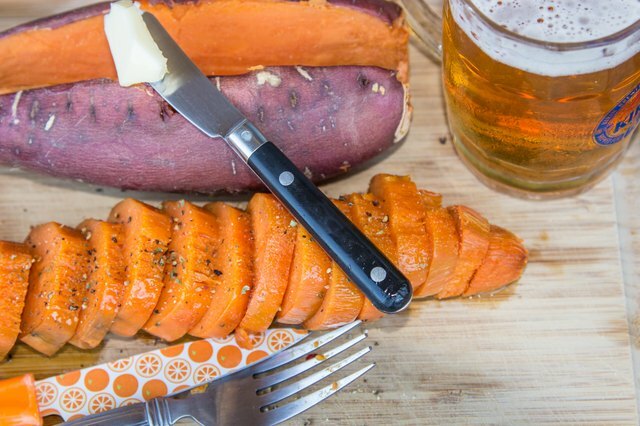 The easiest way to bake yams is in their skins. 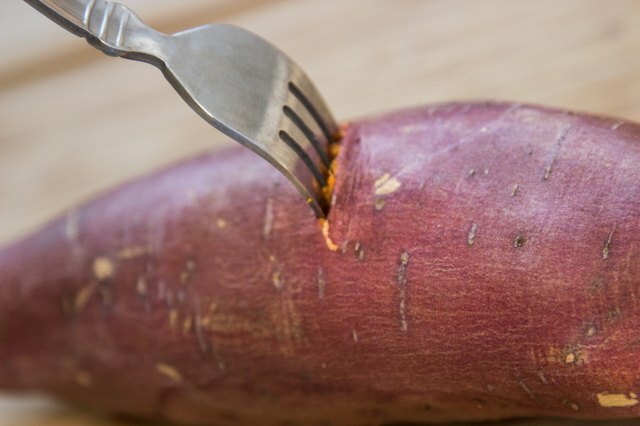 Wash and scrub them thoroughly, and cut a small slit in each yam’s skin. When yams are baked, the insides tend to ooze out into the oven as they are cooking, making a mess and producing smoke. To avoid this, place the yams on a pan or wrap them tightly in foil. Some cooks recommend coating the outside of the yam in butter or wrapping a strip of bacon around it before you wrap it in foil. 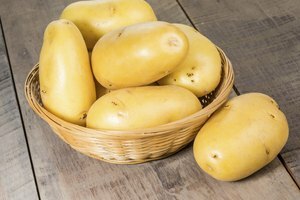 The length of time it will take to bake a yam is largely dependent on the size of the yam and the temperature at which it is cooked. General recommendations are to bake the yam at 350 degrees for 1 hour. 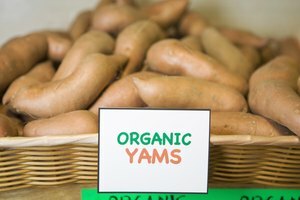 If your yams are particularly small, it may only take 45 minutes, but if they are considerably larger than average, it may take as long as 1 1/2 hours. If you are baking something else in the oven that requires a higher temperature at the same time as the yams, simply reduce the cooking time by 10 or 15 minutes. 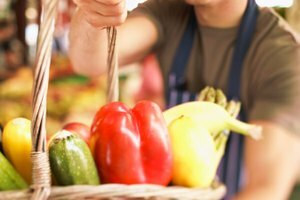 You can tell if a yam is done by stabbing it with a fork; the fork should go in very easily, and the yam should offer no resistance. When the yams are done, serve them with butter and pure maple syrup, honey or a little salt and pepper. Surprisingly, peeling and chopping yams into pieces does not reduce the required baking time by very much. 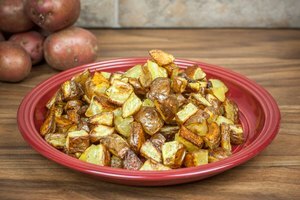 The main advantage in preparing yams this way is that you can add other ingredients to the yams, such as butter, honey, brown sugar, pineapple, apples, raisins, marshmallows and ground nuts. Spices that go well with yams include cinnamon, nutmeg and allspice. Cover the yams so they will retain their moisture and bake them at 350 degrees for 45 minutes. 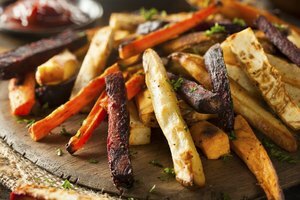 For a presentation that is not so sweet, simply coat the yams in olive oil, salt and pepper and then bake uncovered at 375 degrees Fahrenheit for about an hour, or until the yams become slightly browned and crispy. What Herbs and Spices Are Good With Yams? 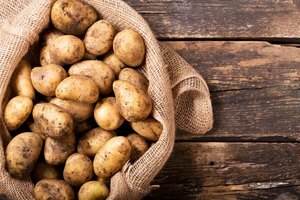 Do Russet Potatoes Cook Faster Than Sweet Potatoes?